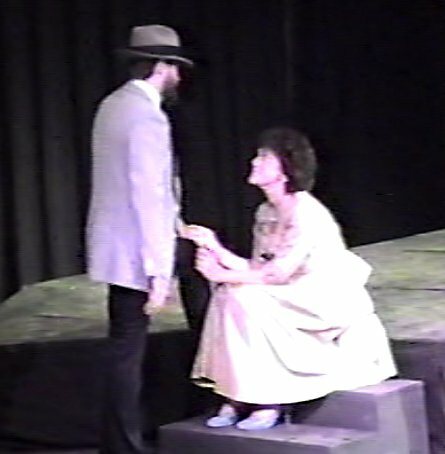 From the June 18, 1987 performance of Bye Bye, Birdie! directed by Jack Randall Earles, the musical featured Marc R. Adams as Albert and Sandi Ulrey Robles as Rosie. Click HERE to see a program from this production!